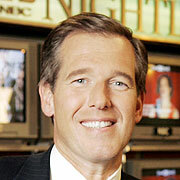 So far, so good for Brian Williams: the most-bronzed and least-tenured network news anchor continues to beat Peter Jennings and Dan Rather by a comfortable margin. well, besides my own blog that is! Keep up the good work.